The first official look of Ryan Reynolds as Deadpool has been released by Reynolds himself on Twitter. He's laid out on a rug in front of a roaring fireplace. Seems like an appropriate locale for the Merc with a Mouth. 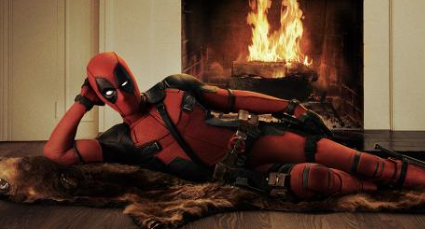 "Deadpool" is scheduled to premiere on February 12, 2016.